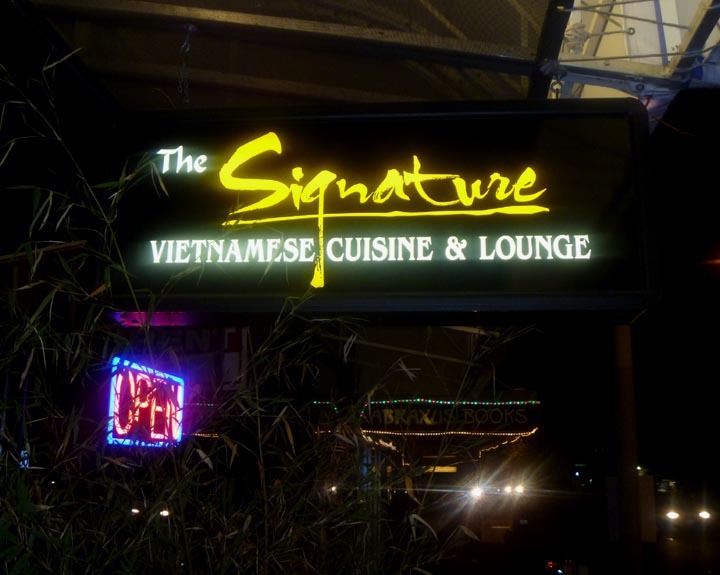 Update: The Signature closed in mid-April 2012. It was replaced by Red Papaya Ale and Spirits. A very nice Vietnamese restaurant, which in the evenings turns into one of the most gawdawful karaoke bars imaginable.